As water passes through the former Otto mine, AMD drains into Muddy Branch Creek, a tributary for the West Branch of the Schuylkill River. 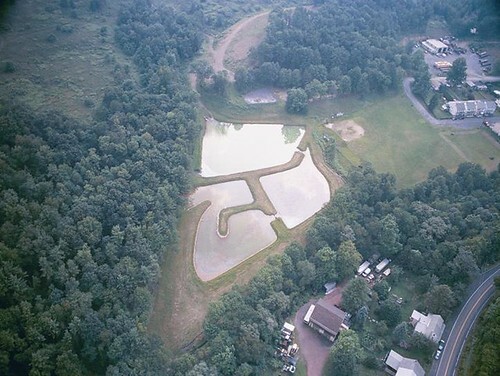 In order to clean the water, Schuylkill Headwaters Association built a treatment system to catch the AMD water before it enters Muddy Creek. As the water flows down hill towards the creek, stop logs divert it into an oxidation pond. Mechanical aerators add air to the water which drives off excess carbon dioxide from the water increasing pH. This process aids in accelerating the iron precipitation out of the water column. To encourage all three of these processes, two five-foot long turbidity curtains hang vertically from the surface, slowing down the water and forcing it to flow in a widespread sheet-like formation instead of simply rushing through as a stream. The water is further filtered as it travels through two wetlands and before flowing into Muddy Creek. 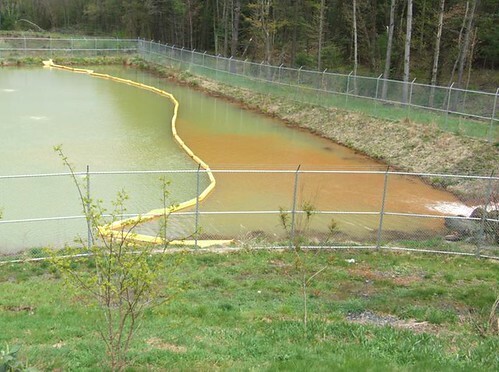 The treated water initially was planned to go through a limestone drain in order to lower the temperature, making the water more favorable for trout. Unfortunately, the amount of iron in the water was more than anticipated and the drain has since been clogged. There is no flushing mechanism within this treatment system that could prevent or repair this, so the water now bypasses the drain. Unlike some AMD water, the discharge from Otto is not acidic, so limestone is not needed to raise the pH level.